Notes: We visited some friends in Margate for lunch and stopped off in Sandwich on the way back to Deal for a stroll and a pint in the pub. Sandwich is one of the historic Cinq Ports and has loads of interesting architectural buildings, many of them centuries old. 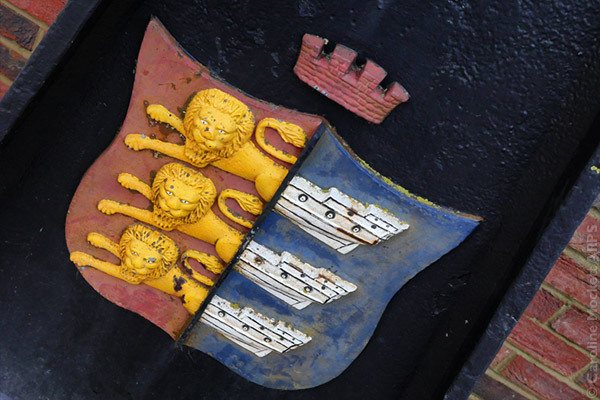 The town’s official blazon shows three half-lions with three ships’ hulls at the other end. An odd combination, but illustrating the town’s historic links with Royalty and seafaring. The trio make a perfect shot for 52 Weeks 2018 – Topic 37, Three.